Finding the right cloud solution for your business can be difficult with so many options to choose from. There are multiple misconceptions and mythos about Cloud – confusion that challenges many people to derive a truly meaningful understanding of its potential and how they can apply Cloud capabilities toward achieving their business goals. We must move beyond these fundamental concepts, and start to explore different intricoes of Cloud delivery and adoption trends, in order to fully realise the benefits on offer. Let’s start with a brief overview of the most common service models that deliver Cloud capabilities: Software-as-a-Service (SaaS), Platform-as-a-Service (PaaS), and Infrastructure-as-a-Service (IaaS). Simply put, a Software-as-a-Service Cloud provider delivers a fully-managed application directly to end users. SaaS delivers the simplest of all Cloud experiences by enabling users to employ their applications without the traditional burdens of their provisioning or maintenance. With Platform-as-a-Service, a Cloud provider delivers a managed operating environment with utilities to streamline application development, so PaaS is generally intended for software developers rather than application end users. Infrastructure-as-a-Service provides a fully-automated, self-service facility for consumers to obtain fundamental computing, networking, and storage resources for arbitrary application use cases. Any of these service models (SaaS, PaaS, IaaS) may be delivered by a commercial Cloud provider serving the industry at-large, a Cloud service provider specialising in a particular business segment or region, or even by an IT organisation serving internal stakeholders within their business. This leads us to describe the distinction between ‘public’ and ‘private’ Cloud – it’s all about sovereignty and control. A Public Cloud provider is a commercial vendor, while its consumers generally represent different IT organisations or business interests, each seeking to accommodate their distinct requirements for their workloads, applications, and services. Because a Public Cloud provider is a commercial vendor at-large, it is by nature always remote (or ‘off premise’) to the consumers it serves. These consumers use resources that are allocated from the commonly-shared infrastructure of the Public Cloud provider. Consumers can individually manage their allocated resources through the Provider’s tenancy controls, while the Public Cloud provider leverages this community-based approach to manage costs at economies of scale. In contrast, a Private Cloud empowers consumers with discrete control over dedicated resources. A Private Cloud may be delivered on premise within their own IT department, hosted for them elsewhere by a managed-service provider, or even with dedicated physical infrastructure delivered by a vendor that may also happen to be a Public Cloud provider. By virtue of dedicated resources, a Private Cloud enables the consumer to independently govern the security, placement, isolation, capacity, performance, and other technical aspects of those resources as needed for their workloads, applications, and services; whereas, a Public Cloud community-based model is more susceptible to the impact of neighboring consumers. Current trends indicate that IT organisations are employing multiple forms of Cloud delivery and leveraging them in various ways that best suit their business objectives. There are many factors to consider when determining which styles of Cloud service delivery are appropriate for particular IT functions, whether to rely upon Public Cloud providers for either traditional or Cloud-native applications, or whether to deploy a Private Cloud that you can control – or some combination thereof. For example, while many IT organisations may favor the simplicity of Public SaaS providers for some of their general business communications or routine administrative functions, they may have more concerns regarding the quality of service, security, or regulatory compliance for critical business operations or protecting their intellectual property that would compel a Private Cloud approach. These many considerations tend to lead IT organisations toward a diversified Cloud strategy. Some IT organisations make a strategic decision to go ‘all-in’ with Cloud by re-architecting and re-engineering their traditional workloads, applications, and services into new forms that exploit Cloud-delivered resources and facilities -- in other words, refactoring to be ‘Cloud native’ by leveraging PaaS capabilities. This usually requires a complete overhaul of how they procure and scale capacity, define and provision resources from that capacity, access and manage data, distribute and coordinate processing, manage end users, operational resilience – essentially going back to the drawing board to rebuild or refactor applications to exploit an entirely new architecture. This native Cloud approach fully embraces a paradigm shift similar to the historical transformation of computing from ledgers & slide-rules to mechanical & electronic, or refactoring applications from mainframe to open distributed architecture – so this is often the most arduous path to Cloud requiring the most time, effort, and transformative expertise. Since PaaS capabilities and implementations vary, it is important to understand that those choosing this Cloud-native path with a Public Cloud provider are deeply investing in that specific provider’s platform. Those wishing to avoid such entanglements often choose to deploy their own Private Cloud to provide SaaS, PaaS, or IaaS to their business. Technology or engineering-centric customers that consider a highly-customised IT strategy as a crucial differentiator within their core line of business may choose to hand-craft their own Private Cloud environment that can be precisely tailored to their needs by leveraging a large ecosystem of open-source basic elements. This path requires deep and diverse technical expertise with specialisations across the many technologies that must be customised and integrated to deliver and maintain a coherent Private Cloud environment that also delivers the specialised function needed by the business, so the practical viability of this approach is often limited to the largest and technically-adept organisations that can afford the time, investment, and retain the skillsets to develop and sustain such an endeavor. A popular path to construct a Private Cloud environment is by integrating ‘building blocks’ from vendor-supported components. This approach still requires a significant depth of development and integration expertise in vendor-specific technologies with deeper investment and dependency; however, it is a much more practical goal than construction from basic elements. You could think of this approach as a ‘shovel-ready’ construction project rather than starting with a design concept. Some vendor ‘building block’ products provide supported software platforms for server virtualisation or container-based compute, network management, storage systems, automation tools, orchestration frameworks, or monitoring systems. Other forms of vendor building blocks include hardware systems that have been certified or pre-qualified to interoperate with such software. Sometimes this hardware and software is delivered pre-integrated into larger building blocks or ‘appliances’ to reduce the balance of additional customer effort required to construct a Private Cloud environment from these parts. Many IT organisations are motivated to choose this building-block approach due to a large pre-existing investment or skillsets in a specific vendor product technology (e.g. VMware, Microsoft, or Nutanix) with an affinity to leverage and expand that investment. For many IT organisations, the simplest and fastest way to embrace the value of Cloud capability is to implement a vendor-supported, all-in-one Private Cloud platform that they can deploy in their own data centers. This approach provides a turnkey, pre-integrated Private Cloud environment that they can rapidly put to work for their business. Such Vendor-integrated Cloud platforms typically include tools and offer services to migrate workloads, applications, and services from the customer’s existing infrastructure into the Cloud environment. 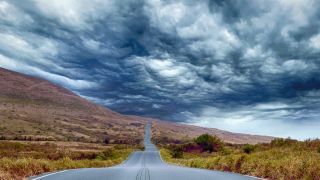 We’ve explored a number of technical ways to consume Cloud capabilities and some pathways that IT organisations can follow to implement their own; however, developing an effective Cloud strategy requires a strong understanding of how to actually utilise Cloud technology in different ways to achieve meaningful, business-level outcomes. Unfortunately, this is another area where marketing hyperbole abounds without much practical insight, so in our next discussion we’ll explore how different Cloud operational models work and how IT organisations can employ them to achieve relevant, business-driven objectives.